Over the past three years, 3D Tune-In employed a participatory design approach, lead by the team at the University of Nottingham, aiming at improving the quality of life of hearing aid users. 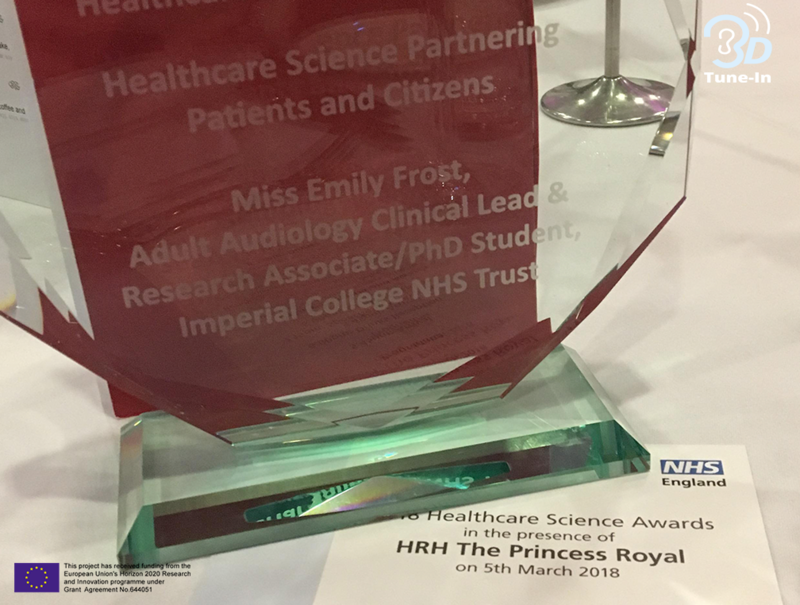 The project was submitted by Emily Frost – NHS Audiologist and Research associate – for the category of Healthcare Science Partnering Patients and Citizens. After attending a judging day, Emily and project coordinator, Dr. Lorenzo Picinali, were invited to the awards ceremony and are very pleased to announce that Emily was declared the winner of the award on behalf of the 3D Tune-In team.